Among Star Trek fans, Kobayashi Maru is synonymous with "no win scenario". This year, in mobile tech, my Kobayashi Maru is the Pixel 3 review. Because this phone is marred by so much controversy and compromise that phone geeks will flay me for even suggesting it's worth it's asking price. At the same time the normal folks at whom this phone is aimed will see a fantastic iPhone alternative, for two hundred dollars less the 10S, and for them, the defects I call out may seem barely worth a mention. As usual, reality is somewhere in between. So, this is the Pixel 3, not the larger 3XL, and I chose it, mainly to avoid the XL's prodigious notch. Well, in the bargain, I got probably the best one handed phone around. If you're someone who is always out doing stuff, you don't always have two hands for your phone, this size is perfect. The backplate's etched finish makes it easy to slip into a pocket, it doesn't get all greasy, like most glass phones, and against the skin it feels pleasantly smooth, like it's made of chalkboard. In the looks department, this is a pleasant evolution, and when you compare it to the first generation Pixel of 2016, there's a sense of minimalist balance here that I quite admire. But, bit by bit, the fun seems to be draining from Google's design. A bunch of us affectionately called last year's Pixel 2XL "The Panda", because of it's cheeky black and white paneling, and the year before that, there was a fetching "Really Blue" paint job. This year, white is white, black is black, and pink is, well, not pink. There's nothing wrong with understated design, but we already have a big tech company building understated phones. I just think the folks competing with it should, I don't know, think different. Now, in possibly the Pixel's most important feature, Google does do things differently. In a world of ever multiplying cameras on phones, the Pixel 3 sticks with one, at least on the back. While I do find that limiting compared to other options, the Pixel continues to be the camera I trust the most, because I can pick it up, snap a quick click, and four times out of five, no joke, it's gonna give a better shot than I could get out of any other with the same low effort. Google has gotten so good at processing images through it's HDR+ approach, that anytime I don't want to tote around my big studio camera, I shoot stills with a Pixel. Now, I'm not saying the Pixel 3 always takes the most accurate photo. It's pretty obvious there was a ton of processing involved in this picture, but, look, that's what it took to keep my face visible with all the back lighting from the sunset, and notice that it also preserves the detail in the lights of the surrounding buildings, that's not easy. Neither is properly exposing for the light bulbs of this shot, which the Galaxy Note 9 blew out a little bit. In this picture, my new favorite cafe in London, it's a little too vibrant, but not cartoonishly so, it's just full of life and depth. That's how I remember this place being, and that's how a lot of photos come out of the Pixel 3, it's great. As usual, the computational tricks have multiplied here, Google uses handshakes to it's advantage to make a crisper zoom photo, it's not always as crisp as you'll get with a dedicated telephoto lens but definitely a better zoom shot than we've had before. There's also a new low light mode that was just hitting phones when the video went to press, finally giving Huawei a run for it's money, with extreme low light photography, and, the reason I've relied on a Pixel for my backup video camera for the past two years is still here as well. The best video stabilization in phones. One last point on optics, given Google's stubborn stick-to-itivness on the single back camera it's interesting it opted to double up on the selfie side. But, like I hinted in the hands on, it works. Having the wide angle shooter for group shots is quite useful, and it's nice to have the option of switching back to the higher quality narrow lens. A new software here too, by the way. Switch to PhotoBooth mode, and the phone will automatically shoot when it decides your face will make for a good picture. Kind of making life into a YouTube thumbnail, for better or worse. So, we've got an A+ handfeel, an A+ camera, and, I might as well say right here that it's also got awesome haptics from the vibe motor. Phone calls are clear and comfortable, thanks in part to the small form factor, and the front firing speakers are surprisingly loud. So, where's all that controversy I promised? Well, it's in the display, for one thing. Not in color quality this year, this panel is beautiful, but its also quite dim. So get ready to crank that brightness if you spend a lot of time outdoors. That might be a part of the reason battery life is my second complaint. Apparently, not even removing the headphone jack can free up enough space for a bigger power pack so, this is a phone usually need to charge before bed. Google makes that easy with wireless charging, complete with a photo frame mode for the Pixel stand, but if you want the faster 10 Watt charging that the phone supports, for now, that $80 Pixel stand is your only option until other compatible chargers hit the market. There's actually a lot to this story AndroidCentral has a detailed article on it, which I'll link to in the description, feel free to subscribe to The Mr. Mobile on YouTube, while you're down there. The Pixel 3 also has a few more software hiccups that I've come to expect from Google. Memory management issues mean that doing something as simple snapping a photo while listening too music sometimes causes Spotify to force close. And even when it's working well, the Pixel 3 forces you to use the new Android Pie interface. I hate to say it, because I love gesture based software, and I was hopeful on this front, back in the Spring, but the final product is just kinda confusing. The contradictory way the Pill works where a flick cycles between the last two apps, but a drag causes the carousel of apps advance. The ugly assymetry of the come and go back button. The awkward way you need to call up the app drawer with either a double swipe, or a long thumb stretch. That's not to say there's not a lot of great stuff in Android Pie, there is. It'll learn which notifications you usually dismiss and offer to hide them going forward, that's nice. And it'll screen spam calls for you too, which is a godsend. But this basic function you use a hundred times a day, opening apps and going home, just feels kind of broken. I wish Google had just adopted Motorola's approach to gestures instead. That's a lot of compromise to swallow for a phone that starts at $799. But, consider everything you get here, the absence of carrier bloatware, the way the phone builds in hardware under the hood so it can evolve over time. Last year, it was the Pixel visual core, this year it's the Titan M security chip. The earbuds, adapter, and fast charger, all bundled in the box just like they should be, the guaranteed software and security updates for three years, and a camera that, if you called it the best you can get on a smartphone, I don't know if I'd disagree with you. Look, if you're a phone geek, than yeah, you already know you can sacrifice some of those features for more exciting devices that suit your taste. 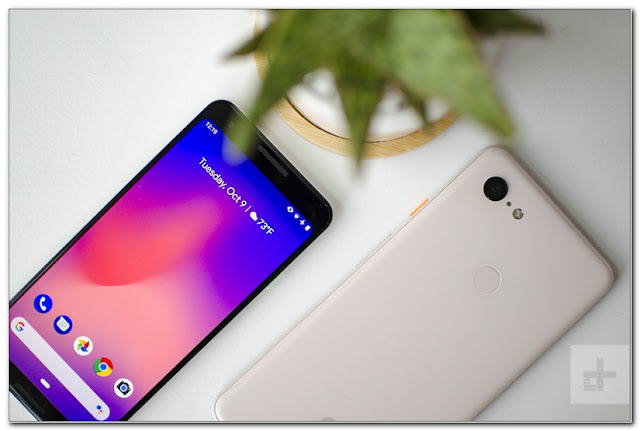 But, when I really focus on the most important things a phone can offer to most people, the Pixel 3 delivers most of them, even if, at 800 bucks, it asks a bit too much for the privilege. Now, that's still a lot of money, so, protect that investment with a special case from today's sponsor, at a special price. Tec21's Pixel 3 cases pack impact absorbing materials called FlexShock, BulletShield, that are as tough as they sound. They're drop tested 20 times to keep your Pixel protected from falls of over 10 feet! And, they don't interfere with wireless charging! 0 Response to "Google Pixel 3 Review : Tough Call"